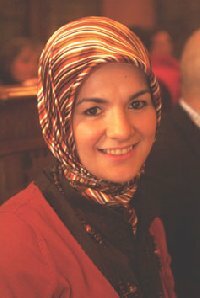 Mahinur Ozdemir, of Turkish background, said she found some of her ideals in the Christian Democratic Party’s platform. “I believe in the values of humanity and respect of religious beliefs of people, and I find the Christian Democratic Party provides such a platform,” Ozdemir told Al Arabiya, while taking a break from handing out pamphlets for her candidacy to pedestrians in the market. Despite her political activism and flawless French, Ozdemir’s presence in the political scene has raised concerns over her future success. Safiya Bourfah, candidate from Socialist Party, expressed concern over the future of a candidate who wears the hijab in Parliament. “If the veiled candidate wins I fear she would go on to face other challenges because she is expected to represent all segments of society and not all Belgians will see her in that light,” Bourfah told Al Arabiya. Yet contention over the veiled candidate pointed to the changing composition of a Christian European identity that is no longer just Christian. Ozdemir said wearing the Islamic head scarf is something that does not hinder her political activism and should not be the point of controversy. “I veil my hair but I do not veil my mind and I advice those who criticize my hijab to go to their eye physician because their eyes are veiled by prejudice,” Ozdemir said. “Wearing the veil is part of one’s identity and Ozdemir is a symbol of the free Muslim woman with a political vision,” Lubna Zaytuni, a French student in Brussels, told Al Arabiya.